Roller skating is presumed to have been born out of the frustrated passions of an ice skater during the warm summer months when no ice was to be had. Legends abound concerning who and where the first attempts were made to roller skate. Nearly all place the invention in Scandinavia or elsewhere in northern Europe. The first documented inventor of a roller skate was John Joseph Merlin. Merlin was born September 17, 1735, in the city of Huys, Belgium. He was a well-known maker of musical instruments and other mechanical inventions. According to a contemporary of Merlin's, one of his inventions was a pair of skates "contrived to run on small metallic wheels. Supplied with a pair of these and a violin, he mixed in the motley group of one of the celebrated Mrs. Cornely's masquerades at Carlisle-house, Soho-square; when, not having provided the means of retarding his velocity, or commanding its direction, he impelled himself against a mirror, of more than five hundred pounds' value, dashed it to atoms, broke his instrument to pieces, and wounded himself most severely." Indeed, from the beginning, starting was never a problem; stopping was. Through various incarnations, roller skates strove to replicate the streamlined speed and maneuverability of ice skates, but without ball bearings or shock-absorbent wheels it would take 200 years before that dream was achieved. 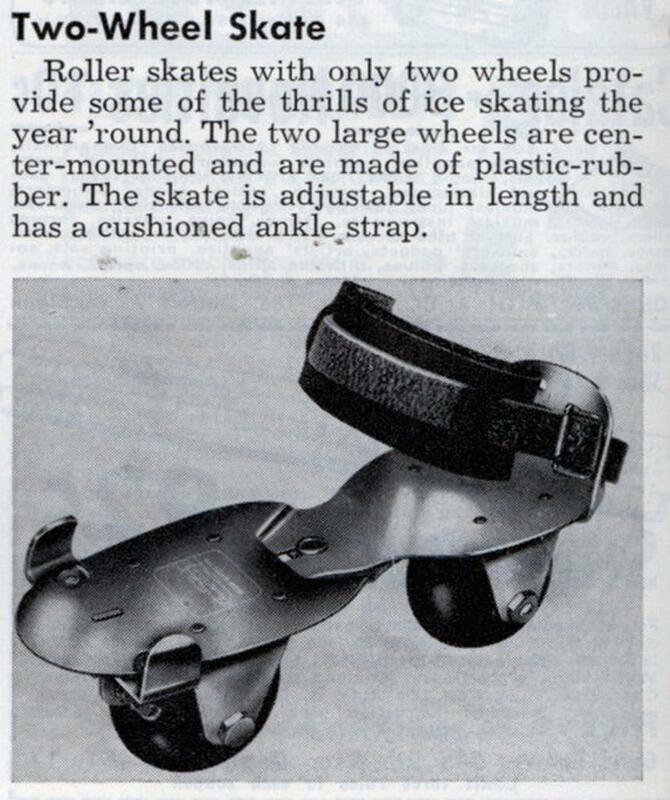 Even as late as 1960, the Chicago Skate Company attempted to market an inline skate that looked much like today's skate, but it did not offer sufficient comfort, stability or a reliable brake. In 1759, a Belgian violinist named Joseph Merlin attached wooden spools to the front and back center of a pair of shoes, in order to mimic ice skating at a costume party. His "skaites" did not catch on - perhaps because Merlin crashed into a full-length mirror. An American, James Plimpton, created the classic two-by-two-wheel skate design (1863). 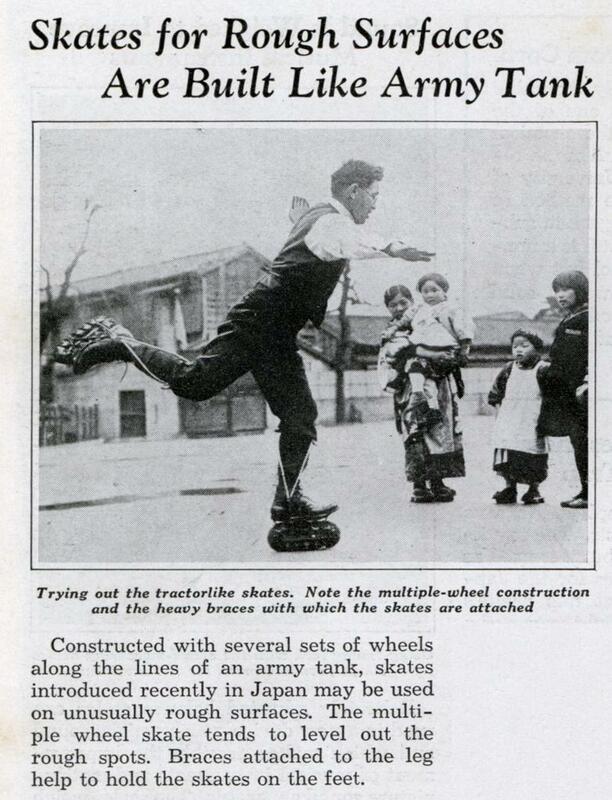 After ball bearing wheels (invented 1884) and brake pads were added, roller skates were much smoother and safer, and remained popular with young people through the 1950s. Meanwhile, in-line skates from the Roces Company, were used rarely in Europe for athletic training or practical transportation and were long forgotten. 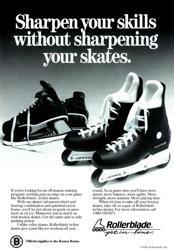 Although it wasn't a commercial success, the Chicago inline skate played a pivotal role in the development of what is now known as inline skating: it was the skate two Minneapolis hockey playing brothers named Scott & Brennan Olson picked up in a used sporting goods store in 1979. Seeking a means to train for ice hockey during those short periods when ice is scarce in Minnesota, Olson purchased the skates, which he modified to include better wheels and a heel brake. Finally, after over 200 years of false starts, the materials and techniques were available for inline skating to take off. 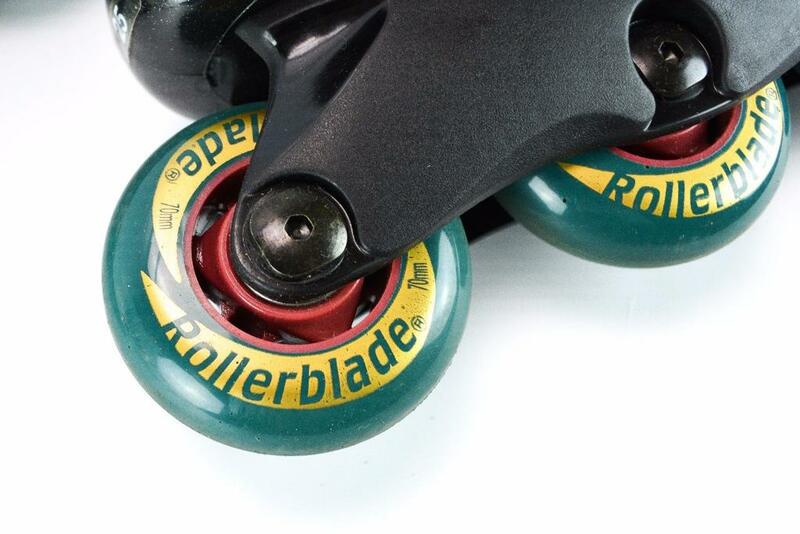 The Olsons refined the skate by replacing the blade with polyurethane rollers, and added a rubber heel brake creating a swift and sturdy way of skating on any hard surface. 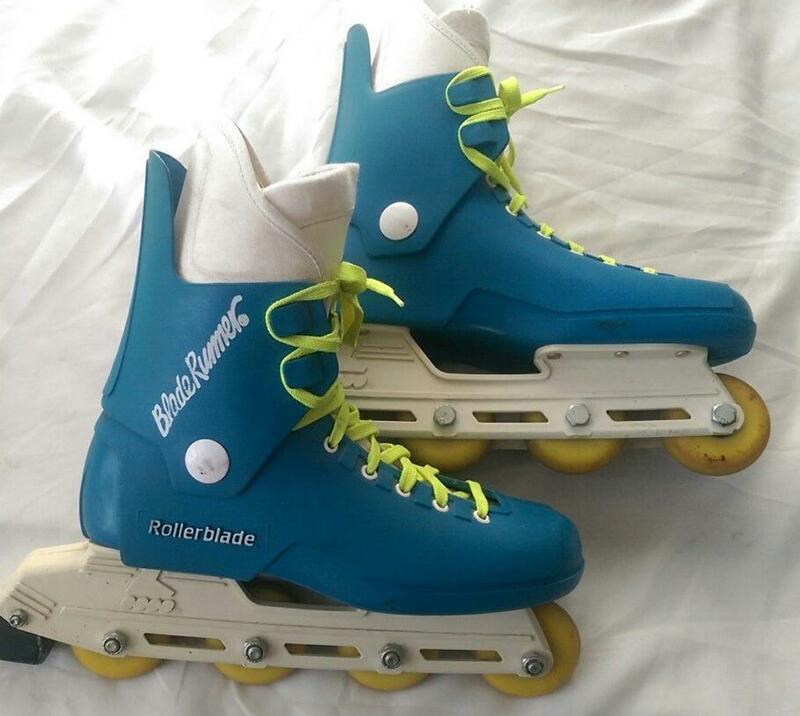 The Olsons began assembling the first Rollerblade skates in the basement of their parents' Minneapolis home and shortly after founded the company that would become Rollerblade, in Minneapolis as Ole's Innovative Sports originally. 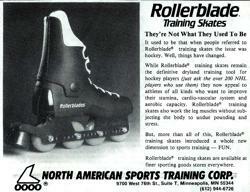 The Olsons' Rollerblades were immediately popular with ice skaters and skiers, but did not really boom with the general public until the company was bought in 1984 by Minneapolis businessman Bob Naegele, Jr. whom purchased Olson's fledgling company, which eventually became Rollerblade®, Inc. (Naegle is a Minnetonka Minnesota native and was a goalkeeper for the Skippers of Minnetonka. His name is forever cemented in Minnesota hockey lore as he was the lead investor to see the return of NHL hockey to Minnesota. 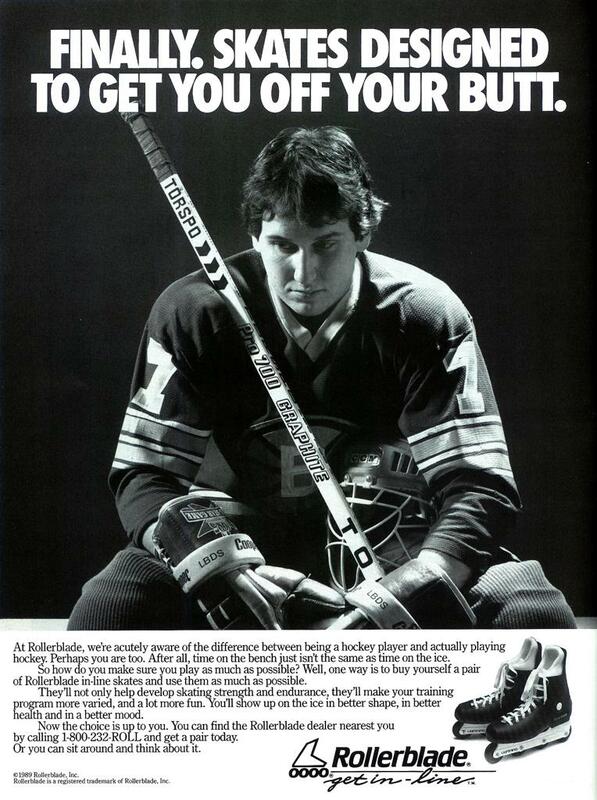 On June 25, 1997, the NHL announced that Saint Paul was awarded an expansion franchise. The Minnesota Wild began competing in the 2000-01 season in the new Xcel Energy Center. Naegle is Chairman of Minnesota Sports & Entertainment and a member of the NHL Board of Governors). 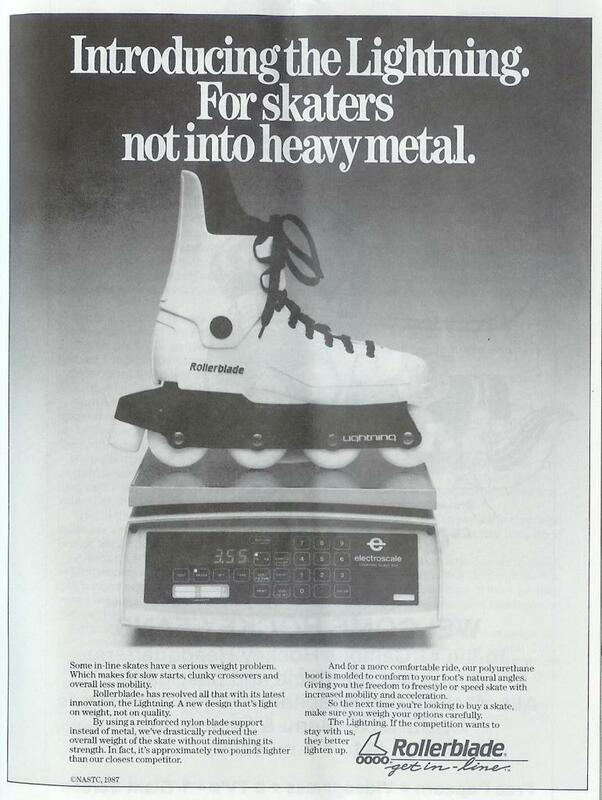 Though not the first company to manufacture inline skates, Rollerblade, by offering a comfortable skate with a reliable and easy-to-implement brake, took inline skating out of the exclusive domain of hockey players and introduced millions to the sport that now has the whole world on a roll., and strategic marketing began in Southern California. The company created a fad, in the same region that had given rise to the skateboard. 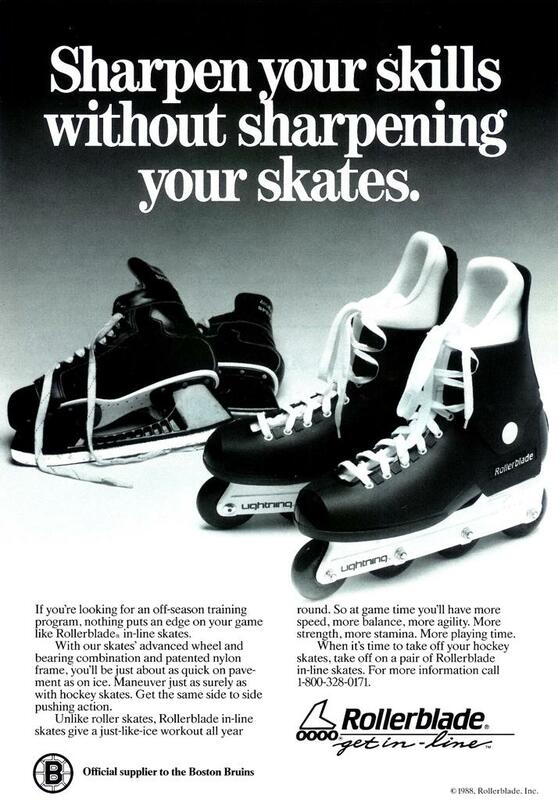 Besides being trendy, in-line skating was fun, challenging though basically easy to learn, and healthy. 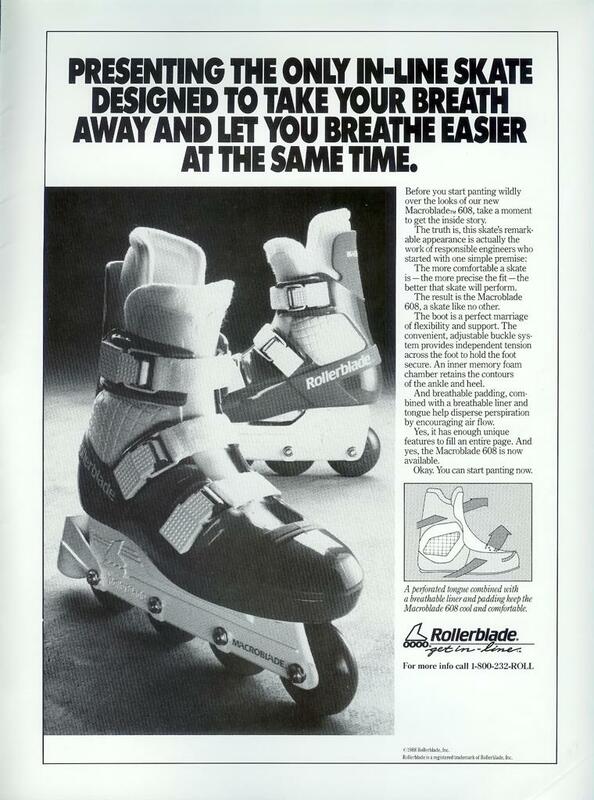 Even though the long established Roces company were the first to manufacture in-line skates in 1981, their distribution was limited to Italy and Central Europe for the first few years, allowing Rollerblade to capitalize and grab a huge percentage of the world market share and almost total dominance of the North American market with their aggressive advertising campaigns and sponsored in-line only sporting events. 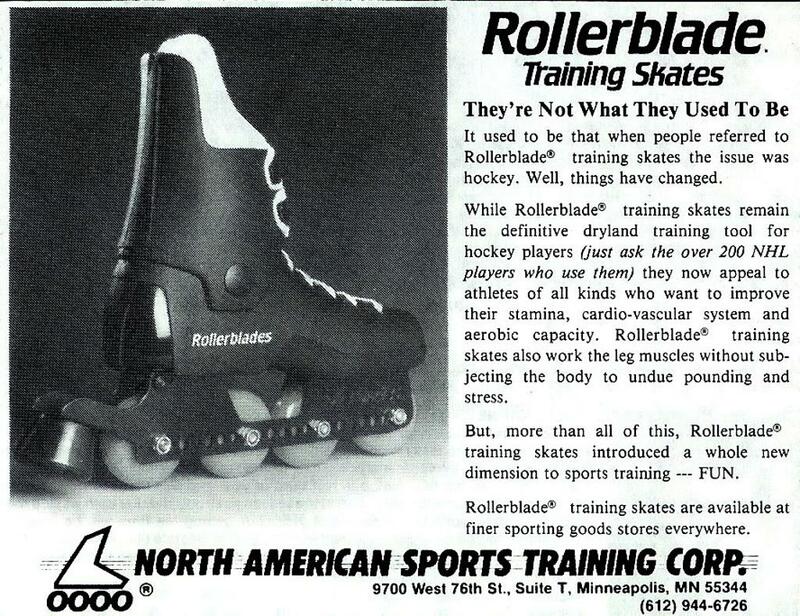 Hockey players, Nordic and Alpine skiers were also quick to adapt Rollerblade skates to their training regimens after realizing how much this type of skating conditioned similar muscles for their other sports. Business grew during the early 80's, but the inline skate market was still undeveloped and limited geographically. 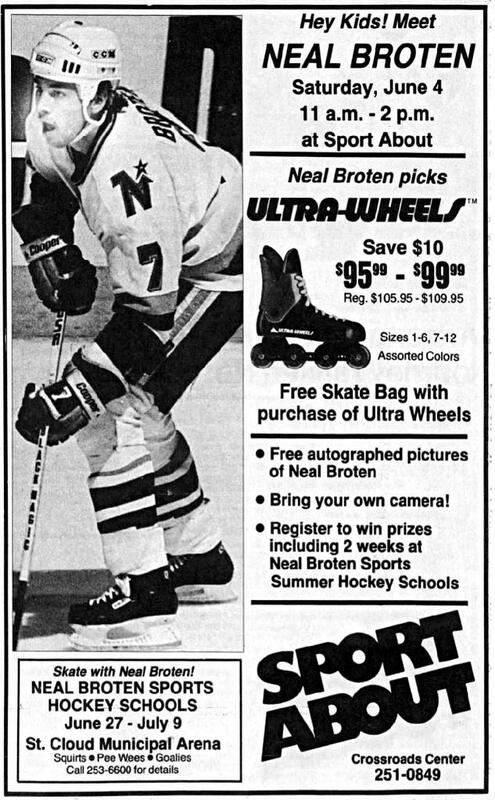 Strategic marketing efforts were introduced in the mid-80's to position inline skating as a new sport, and grass roots marketing tactics were employed in Miami Beach, FL, Minneapolis, MN, and Venice Beach, CA. During the late 80's, Rollerblade expanded distribution through sporting goods retailers. 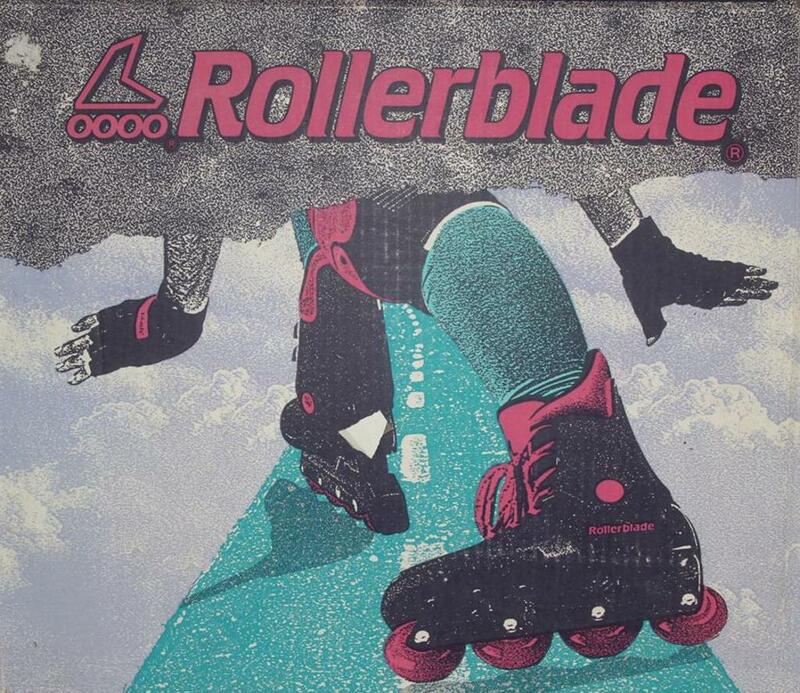 As the decade came to a close, Rollerblade continued to expand the market further through strategic marketing tactics, aggressive public relations plans, events, competitions, and other activities specific to inline skating; including the trend of aggressive skating. 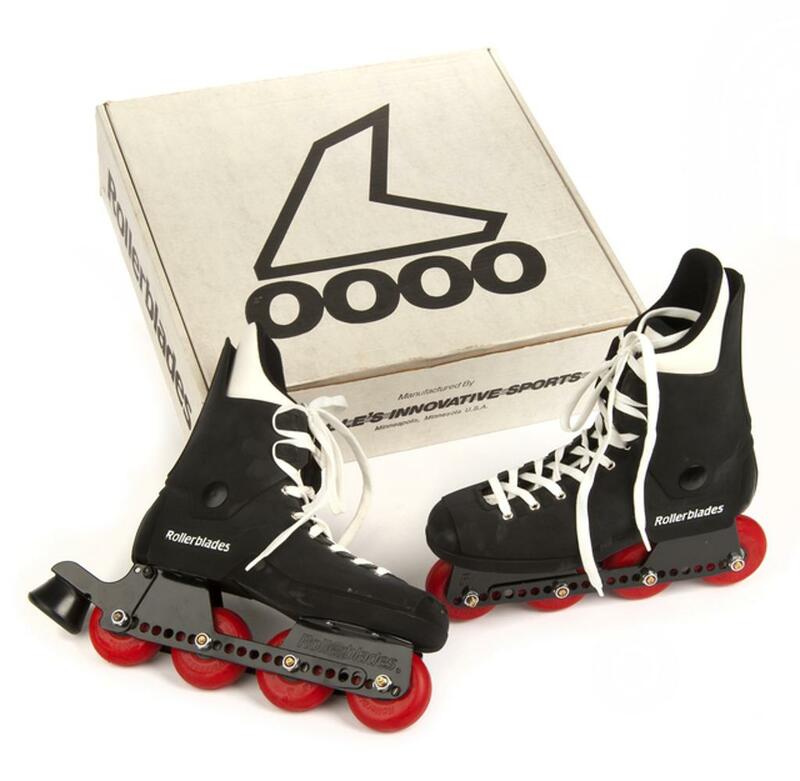 In the early 1990's, demand for Rollerblade skates was growing globally and international distribution was established. Cross-promotions with major consumer product companies gave credibility to the market and publicity for the sport was at an all-time high as popularity soared and participation grew faster than any sport in history. 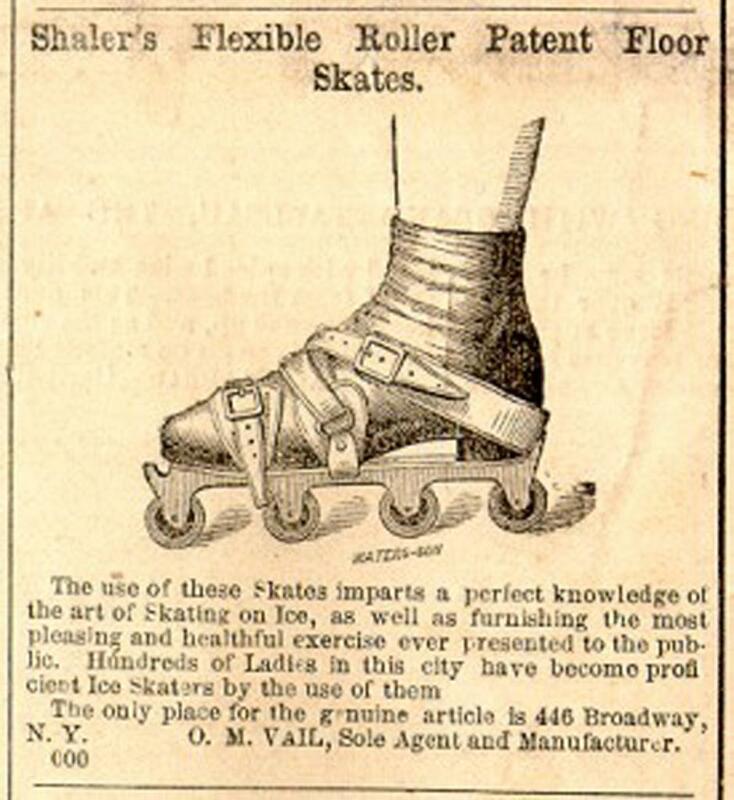 Great strides in skate technology also helped because it was making skating more accessible to people of all ages and athletic ability. 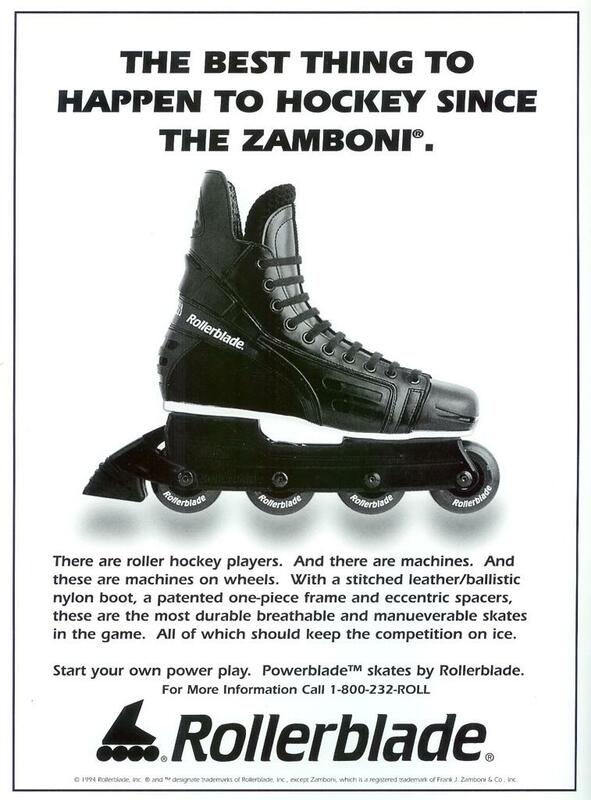 The first Rollerblades were soon imitated by other companies, but Rollerblade, Inc. has stayed on top of the industry it created through both advertising and design innovations - earning about 200 issued or pending patents to date. Perhaps the best evidence of their success is that rollerblading, like frisbee, has become the common term for a pastime enjoyed by countless persons worldwide. 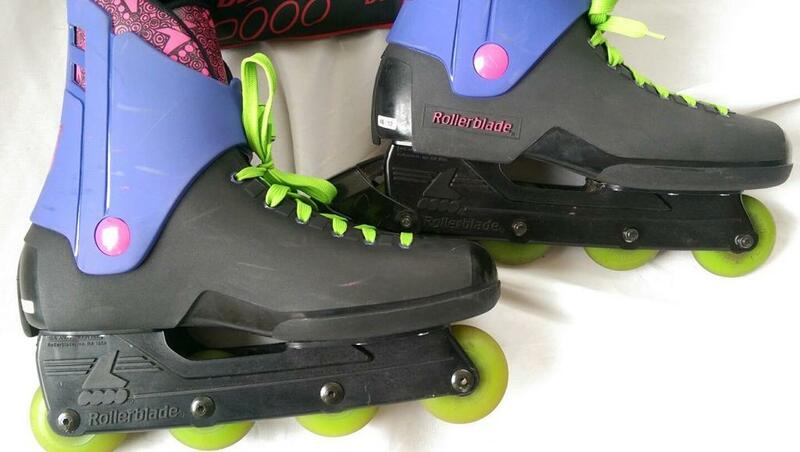 Rollerblade, Inc. has changed hands over time between Nordica, Benetton Group and Technica.